Winningest left-hander of Major League history with 363 victories. 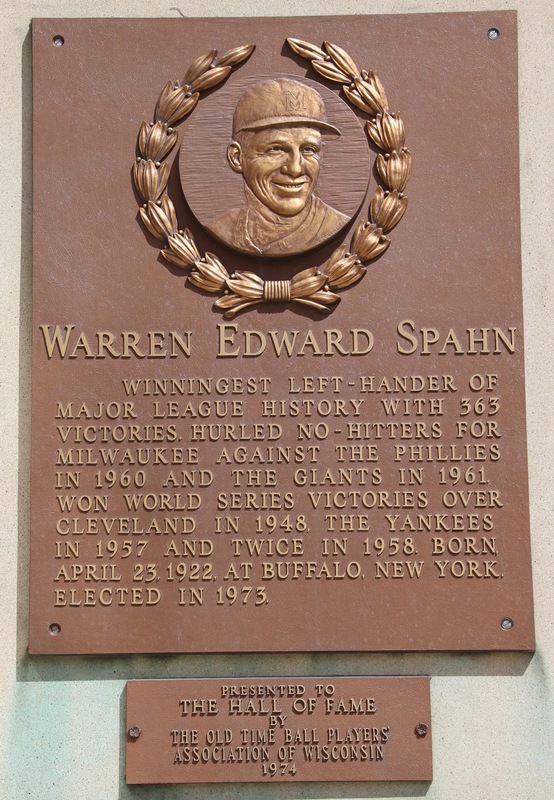 Hurled no-hitters for Milwaukee against the Phillies in 1960 and the Giants in 1961. Won World Series victories over Cleveland in 1948, the Yankees in 1957 and twice in 1958. Born, April 23, 1922, at Buffalo, New York. The marker is in this cluster, top center.